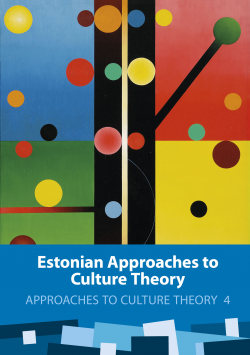 The fourth volume in the Approaches to Culture Theory series is a contemporary Estonian anthology in culture theory. Most of the authors are members of the research groups of the Centre of Excellence in Cultural Theory: archaeology, cultural communication studies, contemporary cultural studies, ethnology, folkloristics, religious studies, landscape studies, and semiotics. These scholars have revised their recent work to highlight current topics in culture theory in Estonia and use theoretical analyses to advance the self-description and self-understanding of culture.